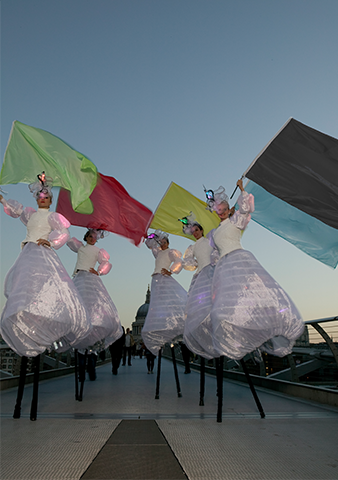 With the Olympic Games almost here, now is the time to think about turning your party into a gold medal event with the arrival of five beautiful stilt walkers in shimmering costumes inspired by the shapes and colours of the Olympic flag. 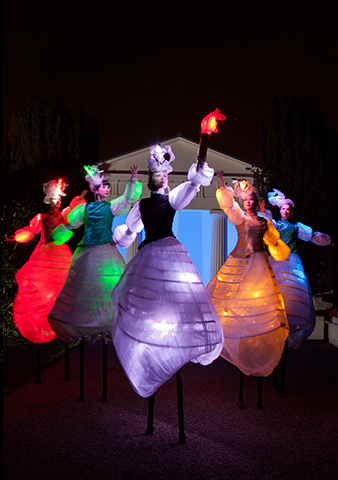 Perfect for both day and night events, Olympic Lightwalkers are available as a walk about. 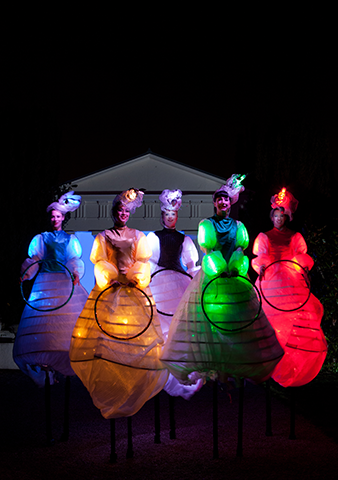 Or why not, bring the evening to a scintillating climax with a seven minute focused show? And, for an encore, how about choosing another colour theme, perhaps set to a favourite piece of music? 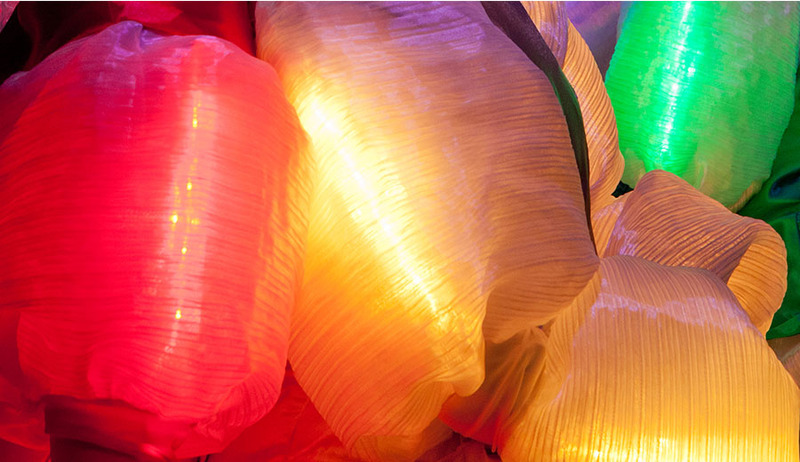 With each dress containing dozens of advanced LEDs, each capable of being programmed to produce an endless kaleidoscope of radiant rainbow colours…..
Olympic celebrations, Parades, Street parties, Sports Events, Mini Olympic Games, Community spirited events and Team GB. 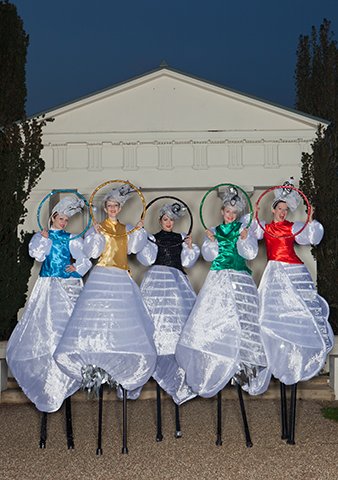 You can book 5 Olympic Lightwalkers for your event.